Synthesis, profiling, and in vivo evaluation of cyclopeptides containing n-methyl amino acids as antiplasmodial agents. FAGUNDEZ, Catherine; SELLANES, Diver; PEÑA, Stella; SCARONE, Laura; AGUIAR, Anna C. C.; SOUZA, Juliana O.; GUIDO, Rafael Victorio Carvalho; STEWART, Lindsay; YARDLEY, Vanessa; YARDLEY, Vanessa; OTTILIE, Sabine; WINZELER, Elizabeth A.; GAMO, Francisco J.; SANZ, Laura M.; SERRA, Gloria L.
Abstract: Malaria is a major tropical disease where important needs are to mitigate symptoms and to prevent the establishment of infection. 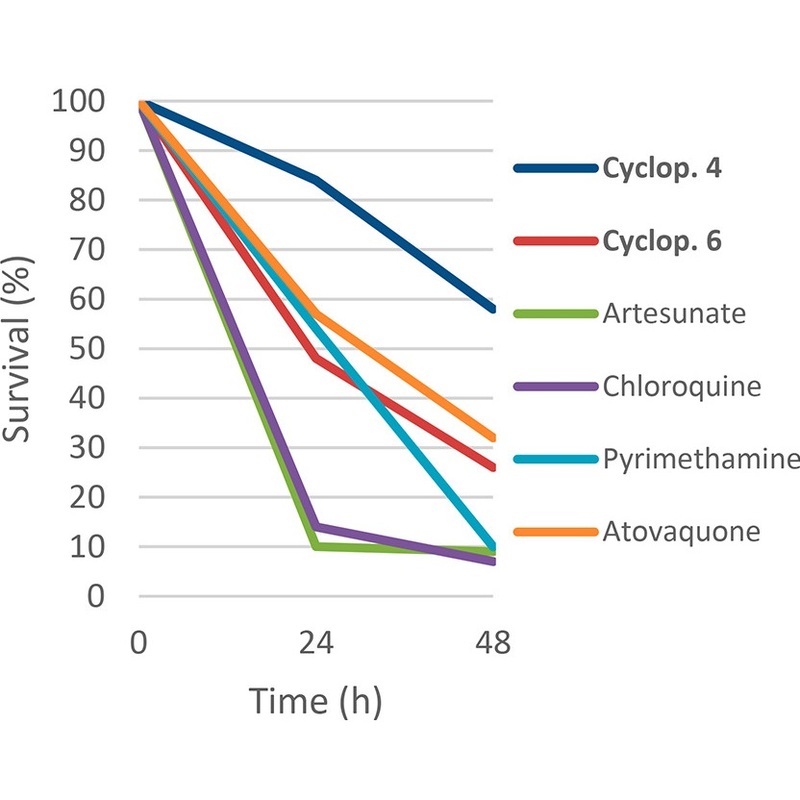 Cyclopeptides containing N-methyl amino acids with in vitro activity against erythrocytic forms as well as liver stage are presented. The synthesis, parasitological characterization, physicochemical properties, in vivo evaluation, and mice pharmacokinetics are described.